(4) LOTS in BLOCK 8. GREY Avenue in Lake Elsinore, the fastest growing City in Riverside County! 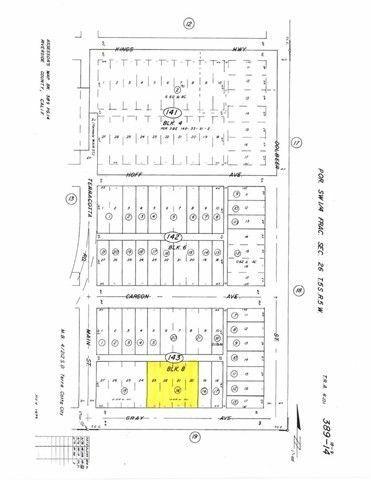 Lot 20, 21, 22 & 23 included in this 29,621 square foot parcel! Fantastic opportunity for the investor! 180' +- FRONTAGE x 165'. Over one/half (1/2) ACRE .68+-. Mobile homes allowed. Septic and propane area. Water is not available at this time. Good well prospect area. Electricity is available from adjacent street. The dirt road is approximately 1500' +- East of Nichols Rd. 23' easement at the rear of lots. FLAT LOTS! Close to the I-15 for easy access to San Diego County, or to Riverside, San Bernardino, Orange and Los Angeles Counties. Investment Opportunity!